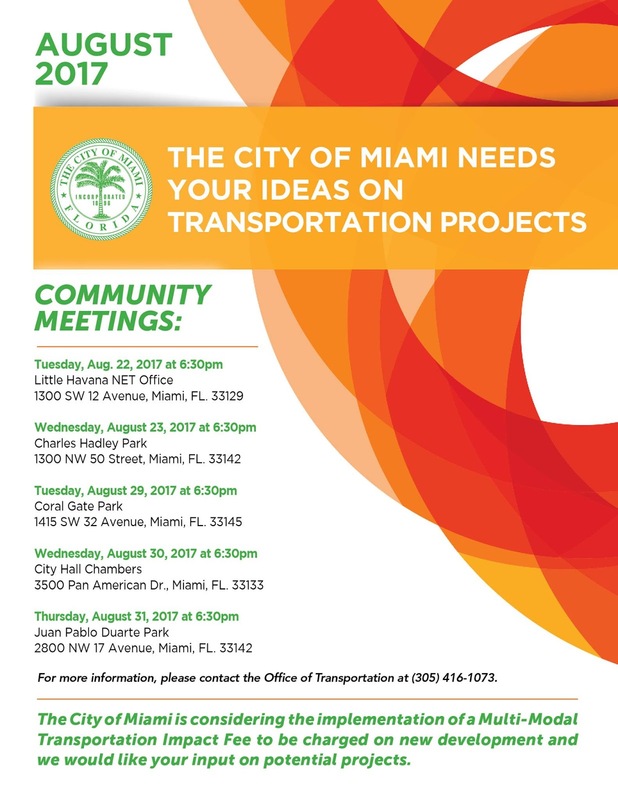 The City of Miami is considering the implementation of a Multi-Modal Transportation Impact Fee to be charged on new development and they would like your input on potential projects. This is a fee that would be collected through the building permit process and would help fund building of trails, greenways, bike lanes, sidewalks, roadways, and transit improvements. They usually do not get a big turnout for public meetings, and since there are a lot of cyclists that want to see better bike facilities in Miami, it would be good for local cyclists to show up to some of these meetings to express that.